Syllabus of the Online Course (Subject): International Trade and Business in Minas Gerais (Brazil) - Belo Horizonte. 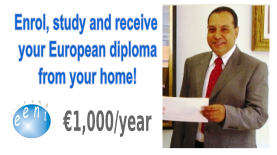 Description of the Online Course: Foreign Trade and business in Minas Gerais. 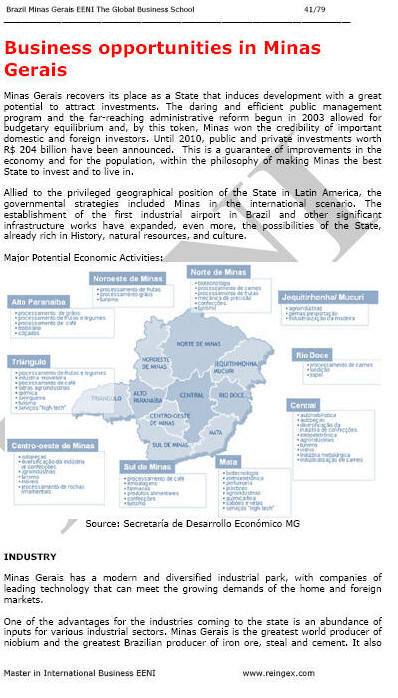 Minas Gerais is the second most industrialised state in Brazil. Belo Horizonte is the capital of Minas Gerais. 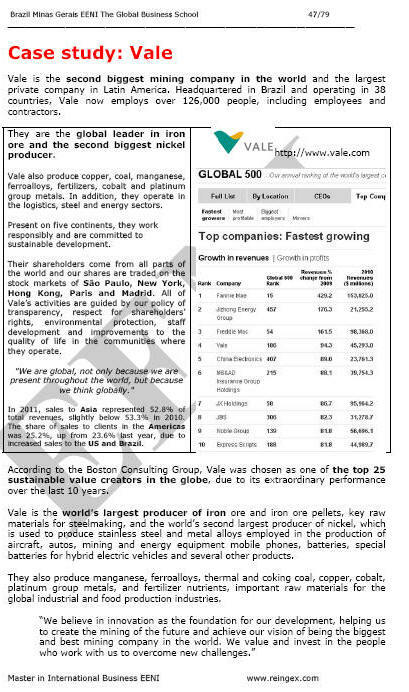 Vale is the second largest mining company in the World and the largest private company in Latin America. Headquartered in Brazil and operating in thirty-eight countries, Vale employs 126,000 people. Exports to Asia represented 52.8% of total revenues, slightly below 53.3%. The share of exports to customer in the Americas was 25.2%, up from 23.6% last year, owing to augmented sales to the United States and Brazil. 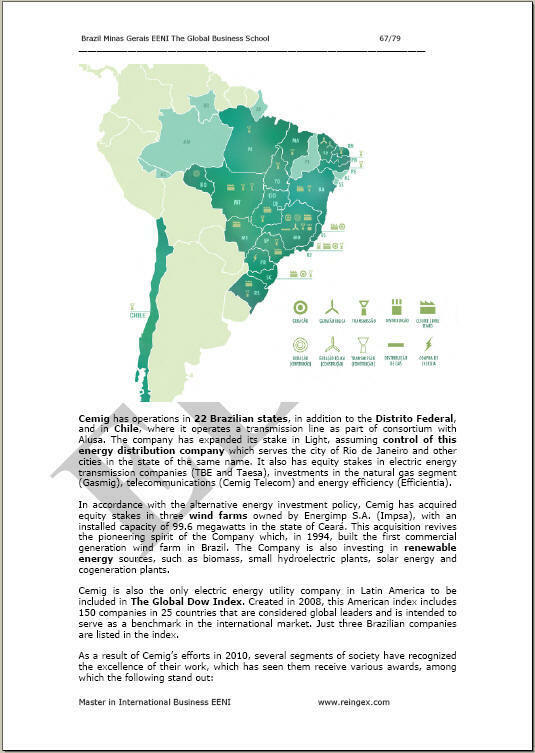 Compahia Energética Minas Gerais - Cemig is a holding company integrated of 107 companies and fifteen consortia, with assets and enterprises in twenty-two states and the Federal District of Brazil and Chile. Cemig is the responsible for supplying 33 million people in 805 municipalities in the States of Minas Gerais and Rio de Janeiro.